Alright people, let’s do this! I’ve been blogging about this and that, but now it’s time to get back to the food! 1. 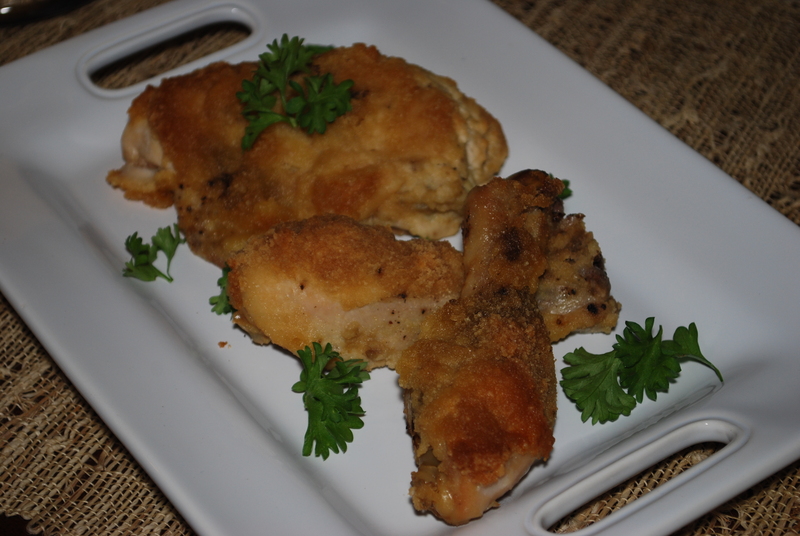 Rinse and pat chicken dry with a paper towel and place in a slow cooker. Sprinkle with salt and pepper. 2. Sprinkle flour mix evenly over all chicken parts. 3. Dot with butter. Cover. 4. Cook 4 hours on LOW heat setting. *Note: The breast meat dried out for me, so next time I will do all dark meat. Seriously, how easy was that? I served this with some sautéed spinach and mashed potatoes (use the drippings from the chicken in with your potatoes or as a gravy on top) and it was delicious! This looks great and will make a nice change to using sauces or stocks with chicken in my slow cooker.